Provides reliable, comfortable support that won't bind or bunch. The Mueller Lifecare for Her Contour Knee Brace delivers targeted support for the everyday needs of women of any age. The sleeve is latex-free and features Aegis Microbe Shield technology, a unique application that's applied to the product to help protect against microbial growth, and eliminate odors, stains, and deterioration. The Mueller Life Care for Her Contour Knee Brace includes a U-shaped gel buttress that lifts the kneecap and massages ligaments to relieve knee pain and high-strength steel springs on the sides to enhance support while allowing full bending and straightening out of your knee. 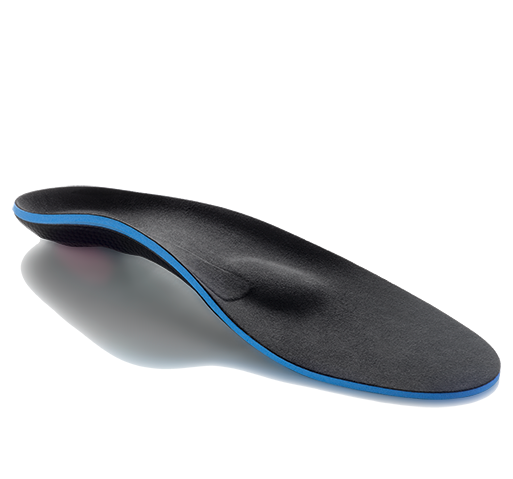 The Mueller Life Care for Her Contour Knee is designed to conform to the shape of your leg to reduce bunching up behind your knee during deep bending movements. The product can be used for arthritis, mild tendonitis, mild swelling, as well as, for activities requiring mild support. Features Aegis Microbe Shield application which protects against microbial growth, and controls or eliminates odors, stains, and deterioration. Features high-strength steel springs on the sides provide added support while allowing full, unrestricted knee motion. Hourglass design conforms comfortably to fit women. Will not bind or bunch up behind your knee. 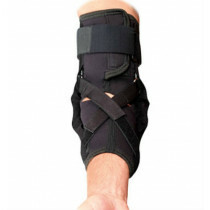 Includes a gel buttress under your kneecap that focuses compression for pain relief. Available in four sizes - please see our sizing chart tab. Activities requiring mild to moderate compression and support. 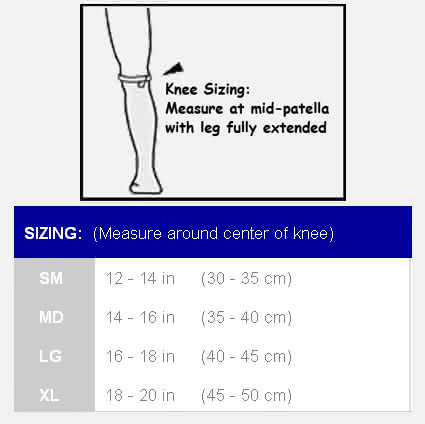 Sizing Chart: Measure the circumference around the knee. I use my brace daily around the house and while hiking. It's easy for me to put on and gives my knee very good support when I'm hiking outdoors. My last one lasted about 9 months with everyday use so It's a decent brace for the price point. I use mine with yoga and find it be supportive yet comfortable. 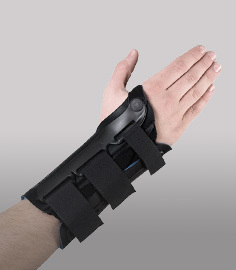 I don't need to wear my brace all day long for my injury. Good value. Why I purchased it: This product sounded like something I needed for my injury. I used it in the middle of summer and needed something that would be comfortable. I also loved that its designed differently for women to be something that is actually stylish. Its not bulky so its a good item to wear under pants. The service: I received my order in a timely manner and for a decent price.